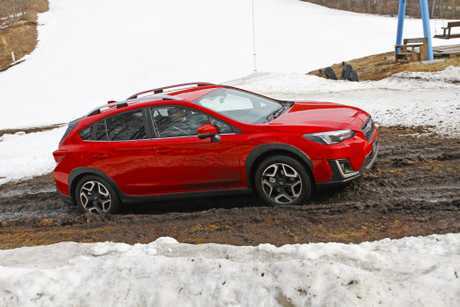 FIVE years after Subaru launched its XV small SUV the rugged-looking all-wheel-drive remains a sales winner for the brand. Ahead of the mid-June launch of the second-generation XV, Subaru is still shifting over 700 per month - some way off segment leading Mazda CX-3 and Mitsubishi ASX - but remaining a significant player in this so-hot-right-now SUV class. 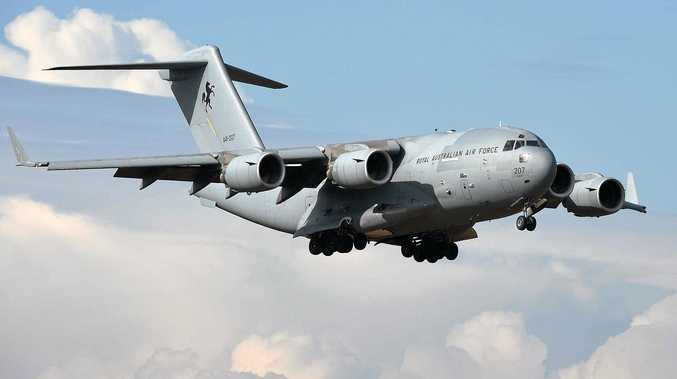 The new model promises to boost sales even further. 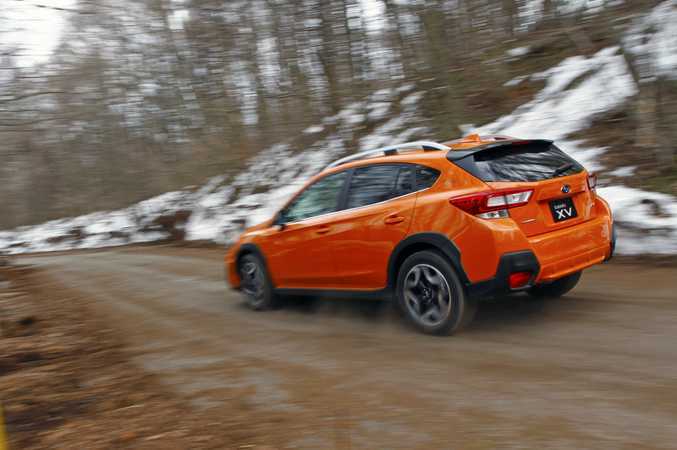 Fresher style, a classier cabin, rock solid handling, more safety features and better off-road credentials mean the XV will be tough for compact SUV buyers to overlook. Especially those who demand more individual styling and the versatility of drive to all four wheels. 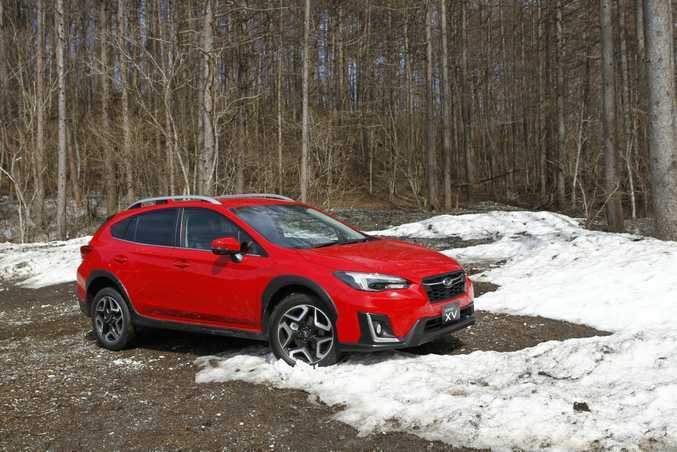 We were given a brief and somewhat limited first test of the new XV in a snowy Japan just days before it goes on sale in its country of origin. Test cars were all Japanese specification with a 200mm ground clearance, but our XVs will be higher-riding at 220mm. Full specification, range and prices for Australian-bound XVs are still in the negotiation phase two months before they hit our showrooms. 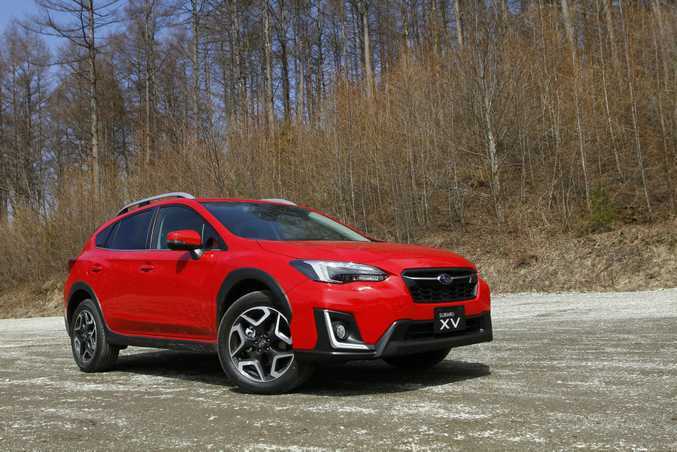 As the XV is basically a jacked-up Subaru Impreza hatch with a more rugged skin, it isn't hard to guess the Aussie specifications though. Mirroring its sedan and hatch stablemates, expect an entry-level 2.0i, mid-rangers 2.0-L and 2.0i Premium, then top dog 2.0i-S. All will have the same engine and transmission, with safety and toys increasing the higher you climb. Sharing the same 115kW/196Nm 2.0-litre four-cylinder boxer engine with the Impreza, the XV's only gearbox option will be a CVT automatic with a seven-speed manual mode. As with the new Impreza (of which over 4000 have been sold since its December 2016 launch), the manual transmission has been axed. "Only 12% of XV sales were manual and have been declining month on month," said Subaru Australia managing director Colin Christie. Mr Christie added that the money saved in not developing a three-pedal option was used to benefit customers in other areas. Even so, those who enjoy a self-shifter have every right to feel aggrieved. So, to those benefitted other areas. 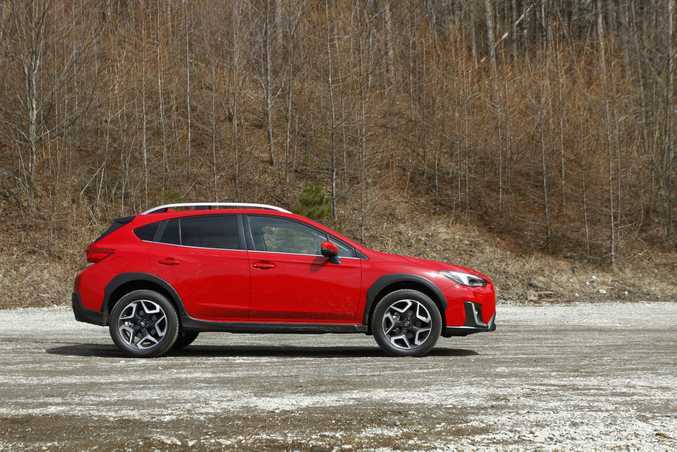 It's the brand's first SUV built on its Subaru Global Platform (as seen on Impreza), there to improve the cars' agility, crash protection, efficiency and driver reward. The new platform boosts body and chassis rigidity, lowers body vibration and does a superb job of lessening body roll during cornering. The new Impreza shows marked improvements in these areas, and on our short test drive the XV suggested likewise. More positives include a slightly sportier design over old - but still looking distinctly XV as the market loves - and new "throwing star" 18-inch alloy wheels. 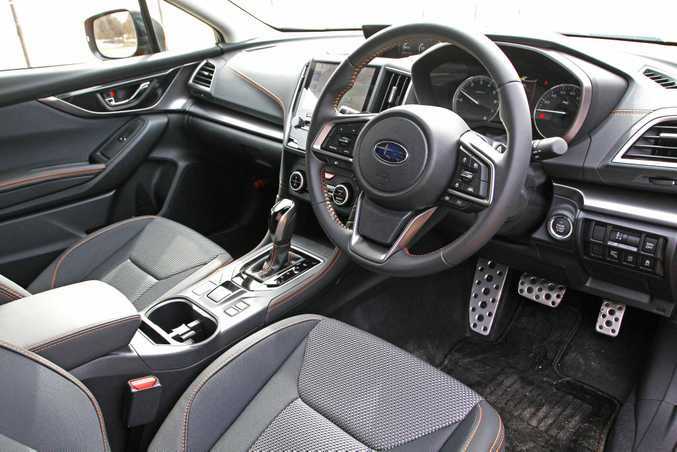 The cabin is a near facsimile of the Impreza's which means a classy layout, good build quality, soft touch plastics and an eight-inch central touchscreen with Apple CarPlay and Android Auto smartphone connectivity. If you own the last generation XV or Impreza, the interior improvements are a real highlight, and will serve to attract a wider buyer group - namely younger families and women - as Subaru admits it is targeting. The standard inclusion of Subaru's camera-based EyeSight driver assist safety tech to all XVs bar the entry-level model should also win favour with this buying group. That means pedestrian avoidance, pre-collision brake, steering assist, blind spot monitor and adaptive cruise control. If safety's your bag, the XV and Impreza recently scored the highest ever score in Japan's JNCAP crash safety testing. Understandably, Subaru's expecting a 5 Star ANCAP rating for the XV. 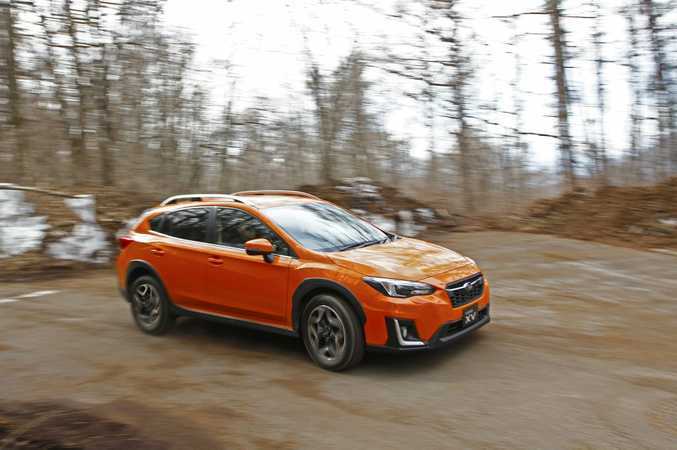 Body style-wise Subaru hasn't messed too much with a good thing, but sleeker headlights and large rear lights help modernise things, while the colour palette has been added to with a new Cool Grey Khaki colour and evolution of the XV's signature solid Sunshine Orange hue. There are no extra charges whatever body colour you choose. There's an air of class to the cabin on entry - certainly at or near class leading in the small SUV segment. Our test car featured robust seats of hard-wearing looking cloth, chunky leather steering wheel and a clean design throughout. The soft touch dashboard and orange feature stitching were big positives, while rubber pads for the metal pedals add to the rugged lifestyle feel. 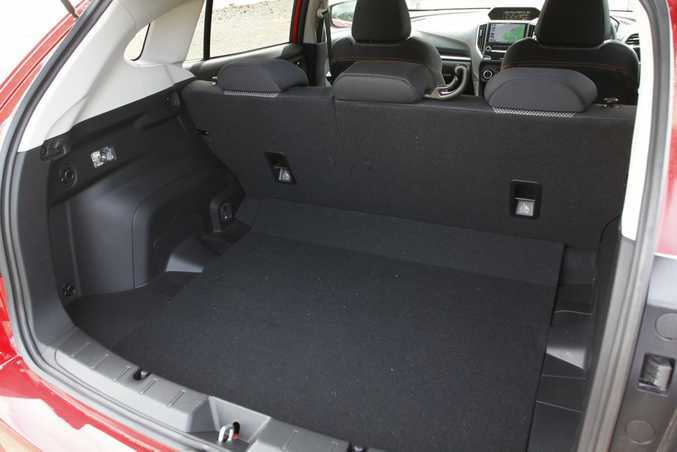 Rear seating is superb for a small SUV - head and leg room being plenty for at least two adults - but boot space is still somewhat wanting. There's no confirmed figure, but expect 345-litres like the new Impreza hatch. Our limited test drive proved two clear things. Like the Impreza, the engine, although improved with a dash more power, is still rather pedestrian in its ability to deliver forward progress, but the chassis is a masterclass of poise and comfort. Subaru does the CVT single-speed auto transmissions better than most, but it's not one for the driving enthusiast as it labours to respond at the stab of the throttle. Yes, steering wheel paddles allow you to pick from seven "faux" stepped gears, but it still feels a tad artificial. No matter to those buying an XV for urban or cruising duties, but such a balanced and assured chassis is crying out for a good turbo engine with some solid shove. We never had the chance to climb into three figures speed-wise, but the new XV blocked road and wind noise well up to these speeds, and proved a comfy delight to punt along. 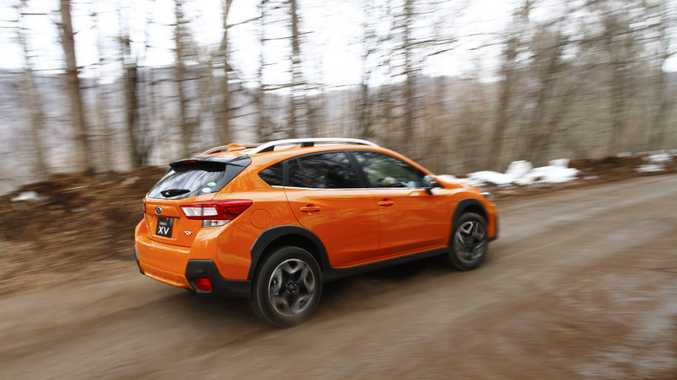 Subaru's banging the "Fun Adventure" drum with the XV, and the more adventurous types will be drawn to the car's included X-Mode (as seen on the Forester SUV) and hill decent control. No mere soft roader this. 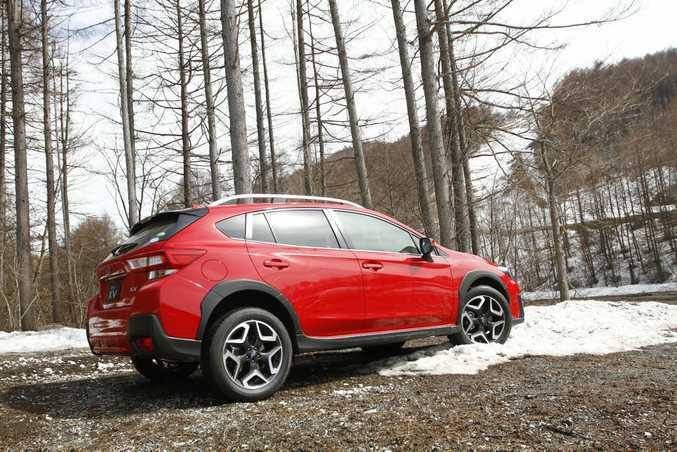 On a snow and wet-mud-covered hilly course in Japanese ski-field territory, a button near the gear stick engaged X-Mode, which integrates control of engine, AWD, braking and more to aid traction on slippery surfaces. 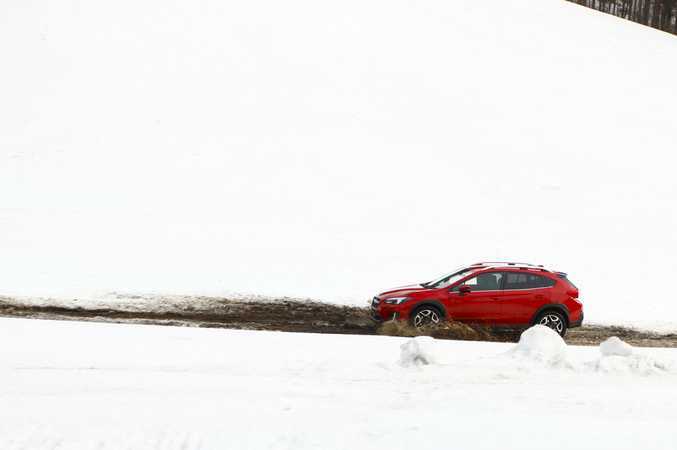 It wasn't the toughest off-road test by any stretch, but to its credit the XV walked over the sloppy surface and had no dramas on mild gradients. The 220mm ground clearance for Aussie XVs and such tech should be ample for the vast majority of local adventures not involving desert crossings. We should expect the new XV to start at around the $27-28k mark, or around $30k for the mid-range model with desirable EyeSight safety tech. Not the cheapest small SUV therefore, but there's little to touch it for a desirable blend of off-road smarts, assured chassis, cabin class and safety. Its rather tardy sole engine and CVT gearbox combo reign in the fun, but for most buyers this will matter little. It's best to reserve final judgement until we get our hands on an Aussie XV on Aussie roads, but as with the new Impreza, the XV looks set to be a deserved strong seller. The Good: Stylish, good off-road credentials with smart all-wheel-drive and 220mm ground clearance, much-improved interior, safety tech, brilliant chassis. The not so good: Engine still lacks any pleasing grunt, CVT auto is your only gearbox option, boot space not huge.